Phil Sipka, at the Kusanya Cafe. Englewood is a long way to go for a cup of coffee. But I like coffee. So when I heard about Kusanya Cafe, a coffeehouse at 69th and Green, I decided to slide over for a cup. Most Chicagoans never go to Englewood for any reason. They associate it with murder, not coffee. But even the worst neighborhoods are also just that — neighborhoods — and I figured, if people can live there, I can visit. Inspiration came from a book called "111 Places in Chicago That You Must Not Miss," published by German publisher Emons Verlag. That aspect is what initially caught my attention; I hoped to smirk at some foreigner's wildly mistaken impressions of Chicago. The book arrived from Germany; alas, it was written by Amy Bizzarri, a Chicago Public Schools teacher who lives by Logan Square. "I have a severe case of wanderlust," she told me. "But I can't go to India, so I go to Devon Avenue. It's my way of traveling. I feel I know a lot of hidden corners of city. 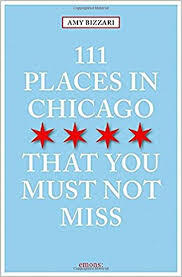 The Chicago volume is one of dozens of "111 Places" books Emons sells, featuring the hidden charms of cities from New Dehli to Berlin to Istanbul. 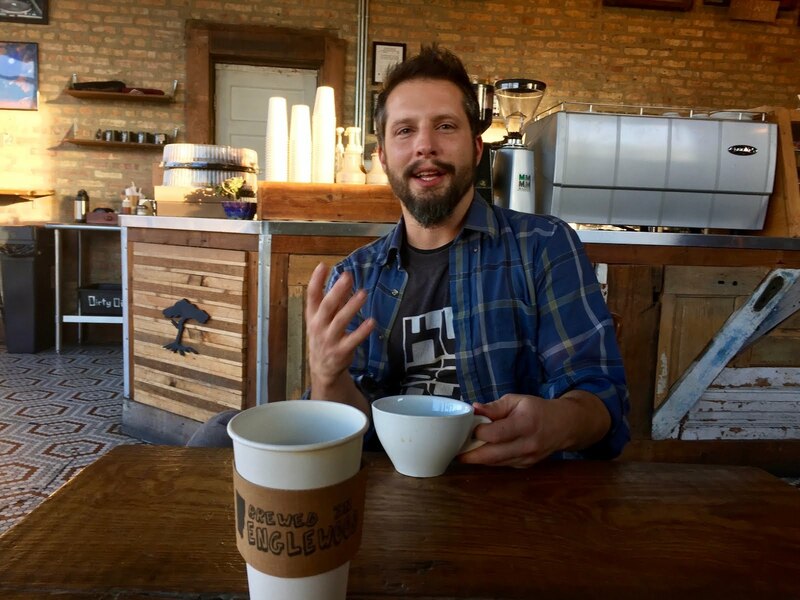 "I saw the New York edition and thought, 'I'm the perfect person to write this for Chicago,'" Bizzarri said. She's right; she is. It's hard to pull off a book like this. You don't want to be too familiar. No point alerting folks to Wrigley Field. But you don't want to be too esoteric either. Bizzarri succeeds. She finds the sweet spot, visiting many worthwhile Chicago treasures, ranging across the city and the spectrum of culture: music, museums, shops, restaurants. She hits many of my favorite obscure places, including the Sky Chapel atop the First United Methodist Church, with its bas-relief of Jesus pondering the skyline of Chicago circa 1952, and Red Square Spa, the former Division Street Russian Baths. The book is illustrated by creative, colorful pictures snapped by Chicago photographer Susie Inverso. A few places struck me as too well-known: the Colleen Moore Fairy Castle in the Museum of Science and Industry, for instance. And a couple are too obscure: The School of Shoemaking and Leather Arts is whimsical, but it isn't somewhere you visit but somewhere you enroll. If anybody reads this book and decides to become a cobbler, I'd love to hear about it. Quibbles aside, the book's main value, for me, will be as a tip sheet, bird-dogging intriguing places I've somehow never heard of and now can visit. Chicago Honey Co-op? Big Monster Toys on South Racine? I'm on my way. Glad to be able to enjoy Neil's "bird-dogging" vicariously. And now he has only 110 other places to visit on our behalf. Hmm... Only 61 by my count. A visit to the old Division Street Russian Baths. The lady or the law?